This little booklet is the distillation of my reading and thoughts on a favorite topic of mine, History. In this case it’s the history of the Church in America, both past, present and future. Future History? Sounds odd I know but in fact there are many futurologists working today in every field. Their job is to study past and present trends and then project them into the future. They are often wrong of course, but if they cause us to seriously think and prepare for what’s coming then they’ve done their job. What follows is mixture of facts and analysis, with a generous helping of my own opinion thrown in, especially at the end. I have tried hard to distinguish between my opinions, other’s opinions and facts, so that the reader will be able to judge for him or her self what is what. I released this on my 50th birthday, and that wasn’t a coincidence either. Much has changed since then. Current statistical analysis would say that much of what here is over stated and wrong. But I’m putting this up out there anyway both as a wake up call and to perhaps spur some thinking. I believe that at this point in history the future of our faith is a vital one for Christians in America to grasp and act upon. 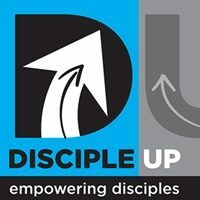 The future of the Church in our increasingly non-Christian culture depends on both how quickly and how well we understand our situation and act decisively on it! I hope this small effort stimulates thought, discussion and action on this issue. All opinions are mine and mine alone. The blame or praise for them rests solely with me.. The church in America today finds itself in a strange place. In many ways things seem better than they’ve ever been. We have more mega churches than any time in history. We have more Christian media than ever before from Bible translations and paraphrases to Christian books, music, TV, radio, magazines, newspapers, web sites etc. We also see a large number of Christian celebrities in politics, entertainment, sports and other media outlets. There are Christian music award shows on TV, and it’s not uncommon to see entertainers and other notable people talk about their faith in Christ. The fact is that the church in America is in decline, and well on it’s way to becoming like the church in Western Europe – dead! We’ve totally lost our culture. If you are middle aged or older the world you grew up in was largely formed and shaped by biblical morality even if you were not a believer. That world has completely disappeared! Today we live in a culture that almost totally rejects Christian morality, from sexuality to marriage to almost any topic you can think of. During this decade Islam will surpass Judaism as the second largest religion in the USA. [BNC, Pg. 107] This increase is due to immigration and the fact that Islam is surprisingly effective at converting Americans. As time goes on and the WW2 generation passes into history the living memory of the Christian roots of our culture will largely disappear. And then what will be left? A culture that is not only non-Christian but also hostile to Christianity in most areas as we are now beginning to experience. In the last half century the church in this country has seen incredible losses take place, and has yet to formulate an effective response to it either. Regular church attendance is down across the board. Many denominations are losing members rapidly. Presbyterian Church (U.S.A.), down 11.6 percent. United Methodist Church, down 6.7 percent. Episcopal Church, down 5.3 percent. United Churches of Christ, down 14.8 percent. And it’s not just denominations either. The church as a whole in this country, despite many growing, healthy churches to the contrary, is failing at an alarming rate. If it were a patient in a hospital, the church would be in critical condition. The church in America has relied for generations on the cultural props supplied it from our Judeo-Christian history. During the “good old days” you could count on the courts and schools and other government agencies to hold the line against many forms of immorality. Not so today however, and the church has yet to either get over the fact of this change or to respond to it in an effective manner. The fact is that without our cultural props the American church has failed miserably. All the money, time and effort we see being expended to try and change our culture back into what it used to be are largely wasted and will not help prepare us for what’s coming. The church needs to learn how to instill biblical values and beliefs into the hearts of people without expecting the schools, courts and other agencies to prop us up. If we fail to do this – the church in America will die. What Jesus said is absolutely true – but He never said parts of the church wouldn’t die. In fact history is filled of examples where it did. If you don’t believe me visit North Africa, it once was once completely Christian and a stronghold of the faith. The rise of Islam almost totally destroyed the church there, and it continues to have almost no influence there today. The same can be said of Turkey, the location of most of the churches Paul wrote to in the New Testament. If the American church dies, like the church has largely done in Western Europe, the church and the faith will go on never fear. However that will be cold comfort indeed to those of us who live here. But is it really that bad? Consider the findings of researchers like Gallop and Barna. They have been tracking the spiritual reality in our nation, and their findings confirm what I’ve said here. The “80/80” reality. In our nation, 80% of people are unchurched and 80% of churches are plateaued or declining. While there are more “mega” churches in our nation, the reality is that they often grow at the expense of smaller churches. Church attendance has declined in our nation from 50% in 1958 to 37% (some say 20% or less) in 1996. In some sections of the nation, regular church attendance less than 10%. Churches are closing in our nation three times faster than they are being planted. Between 3,500-4,000 churches close each year while only 1,100-1,500 are planted each year. We are less “churched” now than ever before. In 1900, there were 27 churches per 10,000 people. In 1997, there are only 10 churches per 10,000 people in the USA. In fact, we could start 50,000 new churches tomorrow and still not have enough churches in our nation! There have been literally volumes written in answer to this question, obviously we can’t cover all that ground here. So we’ll leave aside all the questions on why the culture changed and all the ramifications of that change, and instead focus on how the church responded to the cultural shift. The American church in the late 50’s and early ’60’s was essentially divided in two. One part was made up of the Mainline Denominations which were wealthy and prosperous coming out of the 1950’s, and increasingly influenced by liberal European theology. The other part was the budding Evangelical movement and the more established Fundamentalists. These churches were by and large poorer, and much less if at all influenced by theologies that discounted or attacked the Bible. These two separate groups responded in radically different ways to the culture shift that began in the late 50’s. The one thing they had in common was both of their choices were wrong! The Mainline churches looked at the changes taking place, the rebellion against authority, the growing trend to believe that science and education held the keys to the future, just to name two, and made a fateful choice. They essentially choose to abandon the historic Christian faith and their belief in the Bible as the authoritative source of that faith. Instead they proudly proclaimed that the culture would set their agenda, and it did. Through the 60’s and 70’s they faithfully followed it. From the sexual revolution to the women’s movement to the environmental movement to the homosexual rights movement and beyond, the Mainline churches have worked hard to keep up with the culture. People have rewarded them for all that hard work by leaving in droves! Why should someone looking for answers go to a place where all they hear is the same thing they here elsewhere with a slight “spiritual tone” to it? So today the Mainline Churches are on the doorstep of extinction due to their adoption of this course of action. At the same time that the Mainline churches chose to largely abandon the ship of faith, the Evangelicals and Fundamentalists also faced a tough choice. How would they react to this cultural change? Follow the Mainline churches – not a chance! Instead most “conservative” churches chose a course of action that essentially led to no action at all! In the face of massive changes in belief and action they rightly chose not to abandon the historic Christian faith. But they wrongly chose not to engage the changing culture either. So while everything around them was changing, Bible believing church strove mightily not to change anything! The more extreme examples of this today are the King James only churches, which won’t even allow a more modern translation of the Scriptures, let alone anything else that might try and communicate with the culture. As a result the conservative churches developed a “siege mentality,” where they saw themselves as little islands of purity in a sea of filth. From the 60’s to the ‘80’s they increasingly lost touch with the culture around them and particularly with the youth. During those same decades the young people who did remain faithful tried to move into leadership positions and become change agents. Their results were less than effective due to bitter resistance from those who had attached their identity as faithful Christians to the traditions that they grew up with and gave them comfort. These people were often from an older generation, but not always! There are people of all ages on both sides of this struggle, because it’s not an age issue, it’s a philosophy issue. This attachment stems not only from the innate human resistance to change, but also from a reaction (often unconscious) to the culture change. Facing a world you cannot comprehend the natural reaction is to fall back on what gives you strength and comfort – even if those things are no longer effective in reaching the lost ones Jesus commanded us to reach. It takes brave visionary leadership to change this natural course of action, and leadership will be a key component in restoring the faith in this country, as I’ll discuss later. So the conservative churches in America spent the better part of at least three decades locked in a deadly internal struggle. The war was fought on different fronts, hymns vs. choruses, formal vs. informal, home Bible study groups vs. classes in church buildings, the way we dress, service type and times, etc. But the real issue lying behind all these things was whether the church would put the new wine of the Gospel into new wine skins or keep it in the old ones. Meanwhile both the church and culture, continued to decline. The result of these two bad decisions has been the reduction and marginalization of Christianity in America. We’ve either become a bad copy of the world around us – and who needs that? – or we’ve become an out of touch island of 1950 style American Christianity pretending to be biblical and only fooling ourselves! If the church in America does die, we will only have ourselves to blame. We faced the crossroads of our century and made tragically shortsighted choices. Blinded by a need to fit in or to be comfortable, Christian leadership of that era has been weighed in the balance of history and been found wanting. These choices have resulted in several largely lost generations in America, and a future that’s dubious at best. However, in the midst of all this gloom I do have some good news for you! The fact that the church in America is in for very hard times doesn’t mean the same is true for the church world wide. So should we just throw in the towel here in America? No way! In the midst of the darkness the light shines even brighter and the darkness has not over come it! As we’ve already said, studies show that things look bleak, however the same study also showed many churches are growing including the following fastest growing groups during the ‘90’s. Presbyterian Church in America, up 42.4 percent. Christian and Missionary Alliance, up 21.8 percent. Evangelical Free Church, up 57.2 percent. Assemblies of God, up 18.5 percent. Church of God, up 40.2 percent. Conservative Christian Churches and Churches of Christ, up 18.6 percent. Of course that last statistic is the most important to me since that’s our group – and it frankly shocked me! We haven’t seen that kind of growth in our churches for many years! 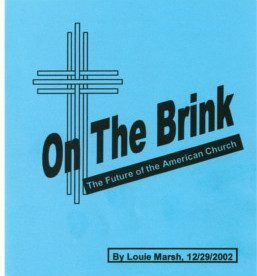 In thinking through what’s been happening over the last ten years or so in our churches and others, is what led to me to the final part of this booklet. So what’s been happening over the last ten years or so? To put it in a nut shell the change agents we mentioned earlier have finally outlasted or out lived or simply out maneuvered the traditionalists. The Christian Churches don’t look, sound or act like they used too. And it’s those church in the vanguard of change who are growing and moving ahead. This fact is illustrated by leading churches like Christ’s Church of the Valley in Phoenix or the 14,000 plus on a weekend Southeast Christian Church in Louisville, Kentucky. Both of these churches have learned from and adopted many of the strategies of growing churches. These churches are characterized by a solid historic Christian faith, while having no need to argue about having communion every Sunday, or only holding church on Sunday, etc. These growing churches are focused on being both contemporary and Bible believing at the same time. And they are succeeding. This is what the future church in America and around the world must do if we are faithfully continue to serve our Lord Jesus and reach one more for Jesus. There is more than one way to do that of course. The largest church in North America, Willow Creek, has its seeker driven approach to doing church. Saddleback, the second largest church in North America, teaches being Purpose Driven. While Southeast has 10 Principles it follows to grow. There are other effective strategies to growth as well. All of them have much in common. They are all unafraid to look at the shibboleths we love to repeat to ourselves for our own comfort and explode them! For example how often have you heard someone say if you just preach the Word faithfully your church will grow? I’ve heard that hundreds of times and it’s just not true! I can take you to churches today that are faithful to the Word and either stagnant or dying! The truth is you have to faithfully preach the Word in such a way that it communicates effectively to your audience! And that audience differs depending on where you are. A black inner city church is going to sound different from a while suburban one if it’s going to grow. Churches that are led by visionary leaders are churches, which aren’t afraid to “think outside of the box.” I know that’s become a dreadful cliché, but its true. If you track growing churches they come up with strange sounding ministries on a fairly regular basis and aren’t afraid to try them out. These ideas often come from the members of the church who aren’t afraid to try something new because their leaders both teach and model the necessity of risk for them. Encourage and supported by the leadership these brave souls launch out and give their new idea a try. They don’t all work of course, in fact most probably wouldn’t be considered successful, but that’s not the point! The point is they risk, create, try and eventually hit on something that does work and souls are saved and the church grows because of it! A great example of this is the “Hiking Ministry” at Saddleback Church. Sounds strange doesn’t it? Yet it works, and many people have been brought to Christ by hiking with church members who take a bit of time on each hike to share some Scripture, their testimony and prayer. Together these three keys to growth – biblical, vision and unity – will help prepare the church for the future, and see us through it as well. How good it is with brothers and sisters dwell together in unity! Growing churches are united behind their vision, their leaders and their ministries. When you plug all that into the power that only comes from God – nothing can stop the church of Christ – as the history of the church teaches us over and over again! What follows are a few things I believe will happen over the next several years and decades. However I’m not a prophet! These are educated guesses at best, and some will doubtless be proven wrong. It’s my prayer that if I’m doing anything I’m being too pessimistic, not too optimistic! The darkness will fall, there’s no stopping it. The cultural slide into a post modern, non and even anti Christian culture will not only continue but will accelerate as the WW2 Generation passes away and the Baby Boomers move into old age. 1) Thousands of churches across the country will close down, laws will be passed making it difficult for many churches to function effectively, and the fruits of abandoning God will become more widespread in our culture. 2) There will be a remnant however. Not a defeated, small group huddling around their Bible’s in the dark either. But a vibrant, faithful, bold group of believers who in a world much like the First Century will become more like the First Church than we’ve seen in a long time. This New Church needs to be tightly focused on its mission (which is why I believe the Purpose Driven Paradigm we’ve adopted here at CCR will be a leading force in the 21st Century Church all around the world! ), completely committed to doing whatever is necessary to reach the world for Christ regardless of what has to change or what beloved traditions have to be discarded. It will have to be a nimble church willing to change forms (but never its faith) quick to respond to a rapidly changing world. This means it will be a humble church as well; not daring to say the way we used to do it is the only way! Instead, being committed to understanding the culture they live in, they will make whatever changes to their forms and methodologies needed to stay effective and firmly fixed on Jesus and His Word. 3) As Post Modernism proves unworkable people will be looking for answers and hope and that’s when this New Church will have its chance to retake the country for Christ! These new leaders will have to understand they are in a crisis and that there’s not time for secondary issues or foolish debates about trivia. Instead they will drive themselves forward seeking new ways to communicate and minister to the world around them. In short, I believe that one of the slogans for this New Church will be – Lead, Follow, or Get Out of the Way! That might sound harsh, but in time of war there’s just no time for anything else. If the church is to fulfill the Great Commission Jesus gave us we’ve got to get serious, and press forward without delay for there’s a world dying for the Good News we alone can bring them! Will they be successful in all of this? I don’t know, and won’t be here to see it either! If this happens at all it’s probably 50 years away, perhaps more. That’s why leadership is such a critical issue in the church right now. Remember we are living out the results of some bad decisions that were made nearly 50 years ago. The decisions we make now will set the stage for what the church will be doing 50 years hence. That’s why it’s absolutely necessary for us to step forward, move quickly and start building the type of church that will be able not only to survive the darkness, but like the early church to thrive in it and prepare the launching pad for the counter offensive to retake the culture in the future. If all of this is so far into the future why does an old guy like me care? Perhaps my answer to that can best be summed up in what I’m calling my Rest of My Life Verse. and I have constantly told others about the wonderful things you do. I don’t know how many times I read that verse without applying it to myself. But recently I read it in a magazine and it practically jumped off the page at me! It’s not a bad summation of my life thus far. God did get me with I was a unformed youth (as the Message paraphrase puts it) and I’ve tried to serve Him all these years. Now I’m grey, and 50 and well past anything that might be called youth, yet I still love and feel connected to the young. How connected they feel to an old fogy like me is another question of course! Regardless of that I do hope that I can help teach the younger generations about the Love and Grace that’s only found in Christ, and encourage them to be people of great power and faith through Jesus. I believe it’s the duty of every generation to try and pass on what it’s learned to the next generation. And complaining that they aren’t listening isn’t acceptable to me! If they aren’t listening then I need to learn how to speak their language well enough so that they can and will listen – at least some of them! Of course it’s their duty to take what they learn from us and separate the wheat from the chaff, and if we train them right that’s exactly what they’ll do! God forbid they should take everything we say at face value, or believe what we teach them is flawless! It’s not and we must encourage them to be like the Berean’s and test all things before they hold fast to it as truth. God willing I’ll be an effective Pastor, communicator, coach, mentor and friend to all generations, especially to the ones that follow, so that I can help prepare them for what coming, and thus fulfill my purpose in life! May God give me the strength and wisdom to do so!